Buying good software for your kids is like finding suitable television shows for them: You’ve got to weed out the junk, then make a parent-child compromise. Carol Ellison, education editor at Home PC magazine, picks her favorites, the best programs for kids 10 and under, which we’ve listed roughly by age group. The Putt-Putt Series: Put-Putt Joins the Parade, Putt-Putt Goes to the Moon, Putt-Putt’s Fun Pack. Humongous Entertainment, ages 3-8. Putt-Putt, a little purple car, is all-time most popular computer character with preschoolers. Children move Putt-Putt around through various scenes, mazes, and activities. There is a lot of problem-solving, and most parents appreciate the message: you’ve got to be nice to others in order to get anywhere. Note: Today, Putt-Putt games can be played on various platforms, including iOS and Android. Several games from the original series have been re-released by Humongous on Steam in 2014, alongside games from the Pajama Sam, Freddi Fish, and Spy Fox series. Playroom: Broderbund Software, ages 3-7. An adventure game for preschoolers in which kids maneuver Pepper Mouse through various doorways. Behind each is a new surprise and new challenge. In one, kids can illustrate a monster, in another, design an ecosystem. Playroom also folds in fun counting and picture-recognition games. Note: In 2001, Broderbund Software company was sold. Today, many of its games are marketed under Ubisoft name. Living Books Series: Living Books Software, ages 3-7. Living Books has been in the educational multimedia business from the start, and the company has perfected the art of creating kids’ storybooks on CD-ROM. From “Grandma and Me” yp “Aesop’s Fables” to Dr. Seuss’s tales. Living Books CDs are excellent: fun to play with, easy to use, and most important, wonderfully readable. Note: Living Books play-through videos can be found today on iOS and Android as Wanderful interactive storybooks. Reader Rabbit Series: Reader Rabbit’s Ready for Letters, Reader Rabbit 1, Reader Rabbit 2, Reader Rabbit 3, Reader Rabbit’s Interactive Reading Journey, Reader Rabbit’s Reading Development Library. The Learning Company, ages 2-9. This is a series of four programs. In each, the child plays with Reader Rabbit, a reporter for the Daily Skywriter, its boss, editor Ed Word, and the rest of the staff of the newspaper. Most are reading programs, though Reader Rabbit 3 does start kids in writing. It is a nice program for two reasons. First, the protagonist is gender-neutral, and kids don’t seem compelled to assign one to it. Second, Reader Rabbit grows with the kids. In the first application, for example, kids learn the alphabet along with Reader Rabbit. These programs teach teeny-tinies about very basic math, reading, and science. Kids learn how to recognize numbers, shapes, sounds, and animal groups as cartoon characters guide the way. They’ve got animation, humor, music, and a lot of intelligence. In this drawing program, you can choose from 20 brushes called “wacky brushes”. One wacky brush, for example, leaves a trail of stars, another is a drippy brush, which leaves paint streaking down the screen. There is also a talking alphabet; kids punch a letter on the keyboard and the computer tells what letter it is. Davidson & Associates, ages 4-10. Kid Works lets kids write, illustrate, print out, and listen to stories that they make up themselves. Little kids can use icons, bigger kids can type. To draw, kids can choose from lots of different backgrounds (a farm, woods, underwater scene, a blank slate, and others). The Treasure Series: Treasure MathStorm, Treasure Mountain, Treasure Cove, Treasure Galaxy. The Learning Company, ages 5-9. In Treasure MathStorm a snowy storm has blown away all the treasures and put the crown in a deep freeze. To restore things to a state of normalcy, kids have to do math and logic problems. In Treasure Mountain, kids focus on reading, as well as math and thinking skills. Treasure Cove concentrates on reading, science, reasoning, and math. 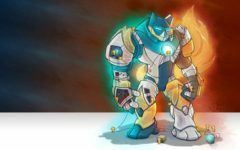 Treasure Galaxy is a cosmic math program that focuses on problem solving. A bunch of different games that kids like to do by themselves (parents are not allowed in the treehouse, remember?). Kids hone their readingskills, as well as learn about everything from money to music – the can even stage their own play. This program was written to answer the question: “Why do we have to learn math?” Frank is a dog, whose adventures lead him to math problems. For example Frank`s friend Billy – a little boy – wonders what would happen if he were to grow twice as big as he is now. The program also shows kids how to use a calculator and how to make estimates. The Learning Company, ages 8-12, Dos CD. This is an all-in-one action-adventure-math game. Kids have to use math and logic skills to protect the ocean from becoming polluted by the toxic chemicals that are emitted by a space capsule that has fallen into the sea. Where in the World is Carmen Sandiego? Where in the US is Carmen Sandiego? Where in Time is Carmen Sandiego? Where is America’s Past is Carmen Sandiego? Where is Space is Carmen Sandiego? Broderbund Sofware World, ages 8 and up. Carmen Sandiego is a thief; kids play detective with the Acme Detective Agency, and their mission is to track down Carmen and her gang of henchmen, and then return the booty to its proper place. The games are packed with almanacs and travel guides, so kids have to do research to win the game, which they may sometimes resent. Kids are more likely to pick up historical factoids than learn about history, but they do learn how to use reference books. The games are a bit tough intellectually on eight-years-olds. Oregon Trial, Oregon Trial II, ages 10 an up. 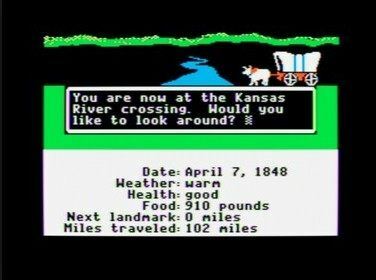 The first Oregon Trail is the oldest game in the computing world. Basically, kids have to navigate the Oregon Trail, circa the 1800s, when the first pioneers journeyed on it. They start in St.Louis and head to the Pacific Northwest. It is a game of strategy and history. The players have to decide what they’re going to purchase: how many guns, spare wagon wheels, what kind of food, medicine. They have the option of buying it now or later down the trail. Kids are confronted with obstacles\\; breaking an axle, running out of food, running into bad weather. Often, they’ll die from one or many causes (smallpox, running into bad weather, starvation, an accident), which serves to instruct them on how to plan better for the next game. Oregon Trail II is similar, but kids can choose from 15 historical trails, including the Santa Fe. The Learning Company, ages 10 and up. This is a word processor designed for students. There is a journal-entry area that kids can password-protect from parents. It also has neat features that mimic adult programs. For instance, there is a feature that automatically formats a bibliography, but it instructs kids on what information needs to be in a bibliography. The spell-checker and grammar-checker are more rigorous that adult versions. The grammar-checker, for example, will ask kids to make decisions about which punctuation and syntax to use, explaining correct and incorrect responses. The new Student Writing and Research Center includes an abridged Compton’s multimedia encyclopedia. Great write-up about our common history, I was a kid when Mom gave me one of these mentioned here. 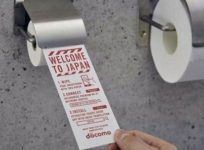 Dotomo Toilet Paper – Wipe, Not Swipe!